Orange you glad we have a fresh new flavour for you! 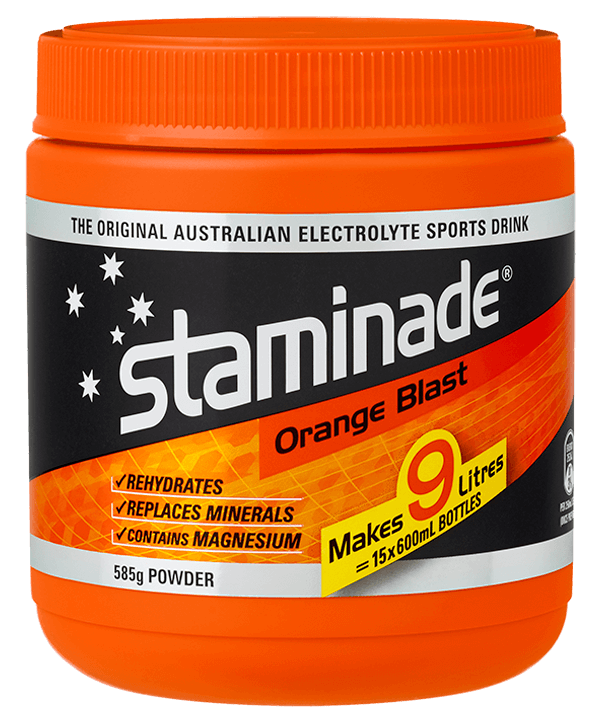 Orange Blast Staminade sports powder is the perfect summer refreshment to get you through the long hot days and night the Australian summer brings. Did you know Staminade is Gluten Free? Thats right! 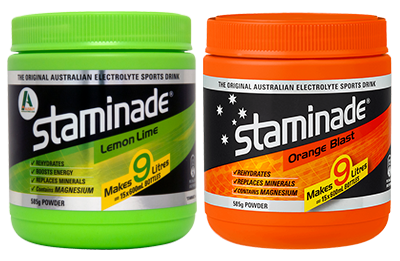 All flavours of Staminade Powder are Gluten Free. Check out Wild Berry Rush flavour or maybe our classic Lemon Lime is more your flavour. Orange Blast is available at Coles stores across Australia along with Lemon Lime. We want to know what you think of our Orange Blast Staminade Powder.Leave a comment below with your thoughts. Really good. The best of the 3 when it warms up inside my bottles in summer. Its still paletable. Its the best of the 3 if you prefer a more diluted mix. I have one bottle on the bike of “concentrate” and have my 2nd bottle (bidon) filled and refilled with water. Im cycling a Pedicab (rickshaw) and suffer freatly from cramps unless i smash the staminade. Lemon lime is still the best. That’s great Jimmy! We love how you use Staminade. Lemon Lime is a favourite with so many too! Thanks for your feedback David!